By Tommy Goudge (January 29, 2013) – Drivers and teams from Ohsweken Speedway are hard at work getting ready for the 2013 racing season, which is now less than 4 months away. 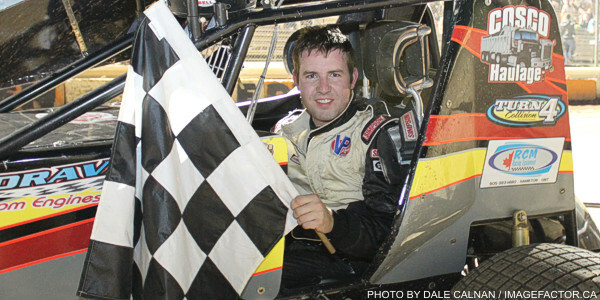 Davey Boughton took a break from those preparations to look back at his 2012 championship, and ahead to 2013. 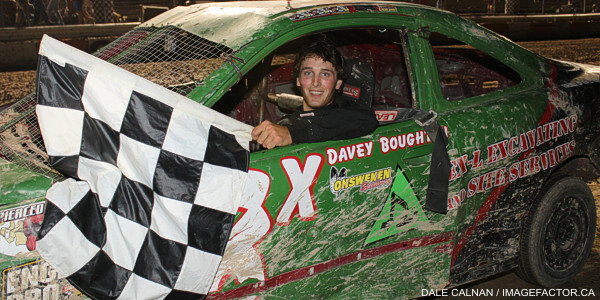 Boughton competed full time in both the Bomber division at Ohsweken Speedway, and the Pure Stock division at Flamboro Speedway in 2012. The 23 year old driver won championships at both tracks last season, and will be a strong contender for the Rookie of the Year award in the Mini Stock division at Ohsweken in 2013. Davey recently purchased the #10j Mini Stock from Jeremy Hughes, and is busy hunting for sponsors.